Crayola has been in the business of providing children with high-quality entertainment and helping to inspire their imagination for a very long time. The company was originally established in 1885 by C. Harold Smith and Edwin Binney. The two took over a pigment business run by Mr. Binney's father. The company didn't actually start producing crayons until 1903. 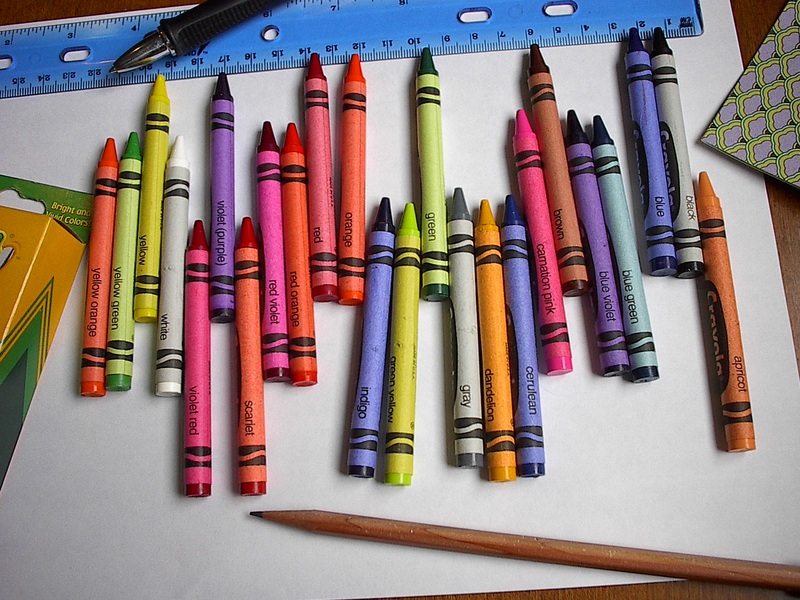 In 1984, Hallmark Cards acquired the company and Crayola became one of its subsidiaries. With this partnership, the company looked to gain even more success. Although it's changed hands over the years, the company has still maintained some semblance of stability thanks to the fact that its headquarters is still located in Lehigh Valley, Pennsylvania after all this time. You can find the official website by going to crayola.com. As mentioned, one of the company's primary missions is to help inspire creativity in younger people. To this end, the website features a gallery of creations to help inspire others. There are also plenty of videos on the website also. These videos are will help provide inspiration as well. They cover an array of topics like giving viewers a behind-the-scenes look at a chalk art festival. Crayola's main product is crayons, and those who purchase them will obviously need something to use them with. That's one of the main reasons that the website provides visitors with an assortment of free coloring pages. These coloring pages fall under a number of different categories. These includes characters, celebrations, people, science, and seasons. Simply find a page that you want and you can print it out with ease. Crayola really does its part to help teachers also. There are free lesson plans on the website that they can use. These plans are searchable by both grade and subject. To make things even better they're standards-based too. Whenever your order costs more than $50, you can get it shipped to you for free. It's also a good idea to sign up for the company's newsletter program. After doing so, you will be provided with a 10% off discount code. They also periodically send out craft ideas, coloring pages, and lesson plans. They are also active on social media sites like YouTube, Pinterest, Instagram, Facebook, and Twitter. 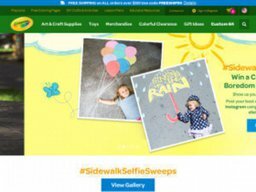 Consumers will find all sorts of merchandise on the Crayola website. They have a wide range of arts and crafts supplies besides crayons. These products include markers, colored pencils, scissors, pads, clay, and organizers. There are also items such as outdoor chalk, silly putty, and tablet apps. You can also find apparel from the company on their website. Crayola has a number of brands featured on the website that you can purchase also. They include Model Magic, Silly Putty, My First Crayola, and Color Wonder. If you're looking for savings with Crayola, then Coupofy Coupons can help. Just search the website for their dedicated page and you'll find all of the special offers that you can take advantage of. If you find something that you want, then just click on it. You'll find yourself right on their official website and ready to save. When shopping on the website, you will need to pay for your order with a major credit card or a Paypal account. The returns process is quite easy. Every order's packing slip includes a section for return information. Simply fill it out and send the unused merchandise back for an exchange or refund. You can reach the company by using the email form on the website. There is also a live chat feature which is available between 9am and 4pm EST on weekdays. The number to reach them is (800) 272-9652. @EAReyEd Thanks for your interest! Not at this time, but we're happy to share your request with our Team.